Franco believes he’s Jason, and heads to the bridge with Danny. There, he imagines Liz arriving to help him, but Evil Franco shows up and grabs Liz. Franco-Jason shoots, but the bullet hits Liz in the stomach. Evil Franco doesn&apos;t bat an eyelash, and throws her in the water. Sam regains consciousness, and tells Silas and Carly what happened. She needs to find Franco, and wants to go after him. However, Silas wants her to go to the hospital, and get her wound checked. Dante and a few officers arrive, and he promises to put out an APB on Franco. Carly tells Sam she’ll find Danny, and thinks she should let Silas help her. Silas takes Sam to the hospital, while Dante tries to keep Carly at the penthouse. Carly knows where Franco would go, and sneaks off when Dante’s not looking. Michael and Penny play pool. He imagines Kiki, and kisses Penny. She asks if he wants to leave, but Michael needs to get to work early. Penny realizes he’s not over another girl. Kiki is shocked when Morgan proposes, and wonders if it’s about what happened with Michael. Morgan cares about her, and doesn’t want to lose her. Kiki argues they’re too young, and haven&apos;t finished their education. Morgan wonders if she no longer wants to be with him. Monica tells Tracy she knows Luke was the one to have the tests, and is aware Tracy was covering for him. She’s about to warn Tracy of something, when she gets called back to the hospital. Ava tells AJ that Franco had a seizure, but he’s alive. AJ comments Franco dying would put a crimp in her plans. When Tracy enters the room, AJ tells her about Ava’s plan to take over ELQ by pitting them against each other, and using Kiki and Franco’s shares. Lesley gives Laura the results of Luke’s tests, and explains about the poisoning. She also mentions Luke refused treatment. Laura realizes Luke has gone off to die, and Tracy knows more than she’s telling. Lesley points out Luke didn’t want her to know, and reminds her Scotty isn’t happy. Laura can’t let Luke die alone, because their kids need him. Laura decides to confront Tracy. Morgan and Kiki announce to a shocked AJ, Ava and Tracy they’re getting married. Tracy wonders if Kiki is pregnant, but they reassure everyone she isn&apos;t. AJ and Ava question Kiki and Morgan, respectively. Morgan wants to make sure Kiki is his; before Michael finds out they aren’t cousins. He’s certain the truth will come out soon. AJ calls Michael, and tells him about the engagement. AJ advises Michael to get over Kiki once and for all. Michael decides to invite Penny back to his place. Silas and Liz are patching up Sam, when Monica enters the room. 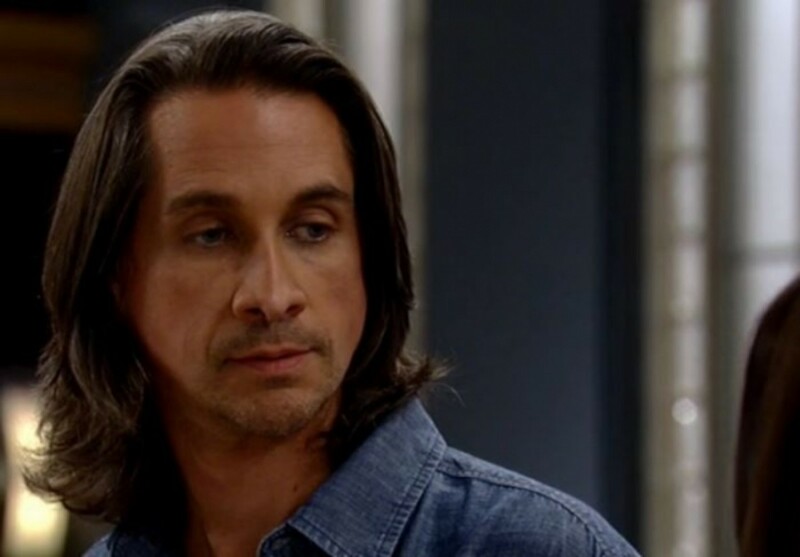 Sam explains Franco believes he’s Jason, and Silas chimes in the tumor could be making him think he&apos;s Jason. Sam feels it’s all a game. Evil Franco continues to taunt Franco-Jason. He goes on and on about not having what Jason had growing up, and finding out Jason threw it all away for a life of crime. Evil Franco decrees the cycle of pain needs to end, and Danny must be sacrificed. Franco-Jason holds Danny over the water, and says he doesn’t want this life for him. Carly arrives to stop him.